How did thousands watch a murder video by mistake? Jump to media player Thousands unintentionally saw the murder of two US journalists because of autoplay on Facebook and Twitter. Is it OK to dress up as Cecil the Lion's killer or Caitlyn Jenner? Jump to media player Controversial Halloween costumes are causing outrage online - would you dress up as Cecil the Lion's killer or Caitlyn Jenner? Virginia TV news crew shot dead Jump to media player Two journalists are shot dead during a live TV report in the US state of Virginia, their employer confirms. Mexico anger at 'Cartel Princess' Jump to media player #BBCTrending investigates the controversy surrounding the daughter of a Mexican drug cartel leader. The fake cop who's causing real trouble for the police Jump to media player A comedian who dresses up in an old police uniform is causing trouble for the authorities in Sweden. Thousands saw the moment two US journalists were killed because of a feature that automatically plays video on Facebook and Twitter. 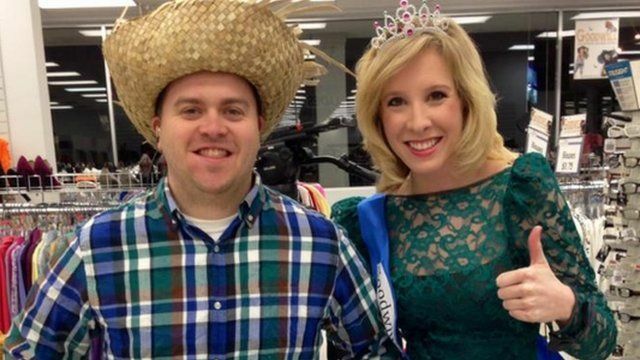 Footage of Alison Parker and Adam Ward being shot was posted to social networks by the gunman. His accounts were quickly suspended, but it was already too late for those who saw the video and complained about it online. Almost 17,000 tweets mentioning "autoplay" were posted within 24 hours. Produced by: Anne-Marie Tomchak and Henry Wilmer. Don't forget to click the 'Share' button to show this to your friends and followers. For more videos subscribe to BBC Trending's YouTube channel. You can also follow BBC Trending on Twitter @BBCtrending, and find us on Facebook. All our stories are at bbc.com/trending. Go to next video: Is it OK to dress up as Cecil the Lion's killer or Caitlyn Jenner?